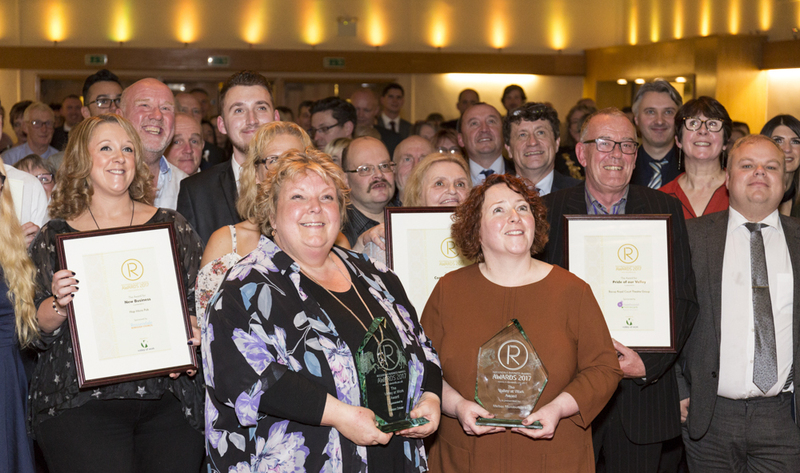 TWO businesswomen were stunned into silence when they were awarded the highest honours at Rossendale Business Awards. To a packed The Riverside in Whitworth, Valley at Work Chair Rob Carder announced that Alison Driver and Melbec Microbiology Ltd had each won a Valley at Work Award. Their entries were declared the most inspirational of the nearly 200 submitted for the 2017 competition. As well as running her own successful business Metis HR, in Bacup, she mentors businesses and has a number of charitable roles. Glass engraver Alexis Valentine of Haslingden-based Walking on Glass was tasked with creating two identical trophies. More than 200 people were in attendance with finalists and sponsors mixing with dignitaries and supporters. The Rossendale Free Press award was presented by Stuart Pike and went to Anglo Recycling in Whitworth to reward the company’s commitment not just to running a successful business, but also to helping the community in the town. A caring group of youth volunteers who give up their school holidays to help primary children experience exciting and challenging days as part of the Wonderful Things project won the Enterprising Young Person category. Wonderful Things was also a finalist in the Part Time category and MicroBusiness categories and Project Managers Julia Ansell and Kate Crane were delighted with the success of the youth volunteers. This year’s Pride of our Valley award was presented to the Bacup Royal Court Theatre Group who successfully rescued the much loved theatre. At the interval young performers from Bacup-based Dansworks Dance Academy performed a series of stunning and charming routines and a raffle organised by Bacup Cancer Research UK committee raised more than £300.